View More In Wine Stoppers & Pourers - Page 8. All of life is an adventure, and yours is about to begin! 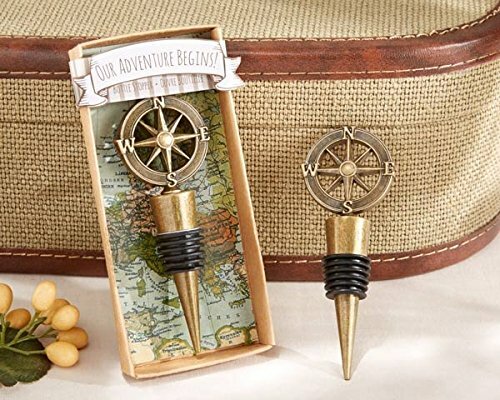 Whether you're embarking on a new life together, welcoming a little one into your family or just turning another year older, mark the occasion with Kate Aspen's beautiful "Our Adventure Begins" wine bottle topper, featuring a charming compass motif in a kraft gift box that tells of all your adventures to come.